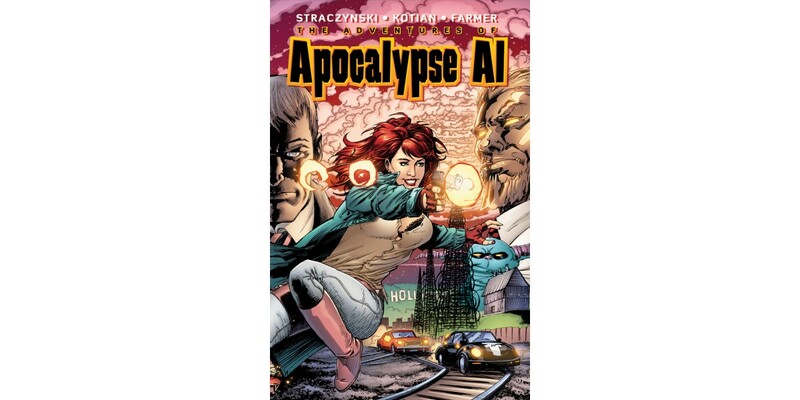 In THE ADVENTURES OF APOCALYPSE AL by J. Michael Straczynski and Sid Kotian, Al gains an unexpected ally in her latest case as she tries to keep a deranged artifact collector from opening a door into Hell itself. "This is a supernatural roller coaster ride that contains equal thrills and laughs. It’s hard to be funny on the edge of the Apocalypse, but this book shows easy it can be. Overall grade: A"
"With lots of quick wit and loads of sarcasm, Apocalypse Al is definitely one of the more fun books available right now. Sort of a female John McClane, Al is the perfect protagonist for this type of story, a mix of eye candy and awesome one-liners in an action-packed package. Kotian’s visuals keep the mood light with striking visuals and bright colors by Bill Farmer keep the story from being bogged-down by its ever-present evil undertones. If you like sci-fi and comedy intelligently combined, Apocalypse Al is right up your alley." "The Adventures of Apocalypse Al is an outlandish but fun yarn that touches on the familiar while making itself wholly unique. Recommended."